Me, A Crazy, Old Cat Lady? When you guys hear me talk, you don’t picture a crazy-cat-loving kind of person, do you? Cause I’m not. Really, I’m not at all. I do like cats though, some of the time. Like my cat, Clara, who I adopted from one of my sisters’ cats right after my dog died last year and I needed something to cuddle. But yeah, I’m not a cat lover. So, don’t ask me where the urge came from, because I have no earthly clue… But, a few weeks ago I suddenly discovered I had this distinct desire to have an indoor cat. Surprised? I was. 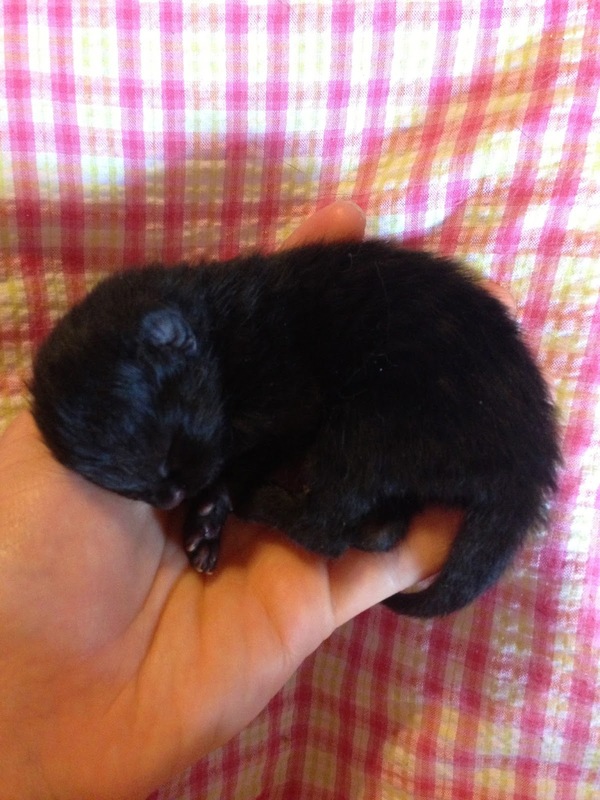 I mean, I could totally picture a lovely little fur ball prancing around and… But yeah, I doubted it would happen, although I figured once we move (which will be hopefully happening sometime in the next six or so months), then maybe I could have a cat in my study. 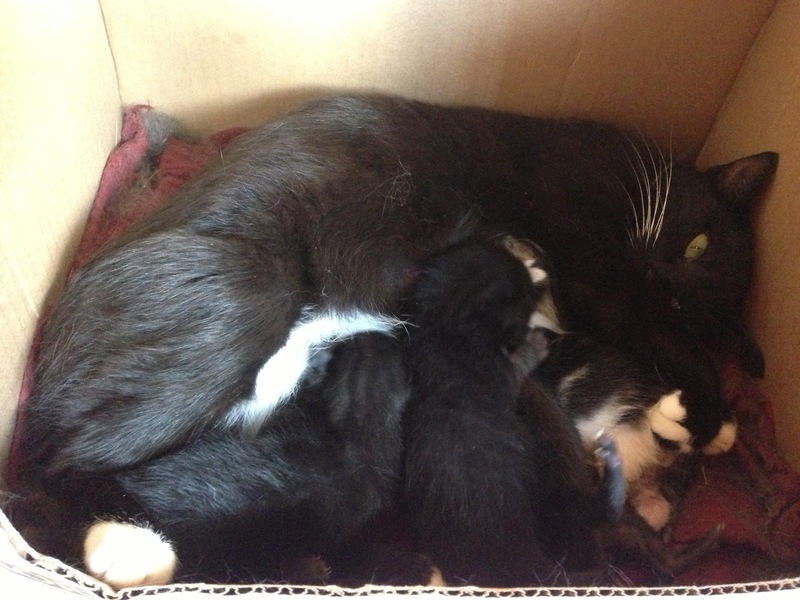 So I’d been having these random thoughts go through my head, and then what should happen but Clara had kittens! Alright, and to make a very long story short, I ended up with Clara and her three kittens plus a forth abandoned kitten in my room. And it’s very delightful. It’s the first time I’ve had cat/kittens in my room since I was about eight. Coolest names ever, right? Yeah, I thought so. Which one is your favorite? Don’t they just work perfectly for a writer’s kittens? Aw! I like Booklyn. That's so cute! Happy for ya! Cute, I think out of those names I like Metaphor the best. =) I'm not really a cat person either, but we had had some cats long ago that I liked.